I'm stopping by quickly to announce the winner of the sold out Simon Says Stamp February 2017 Card Kit: Coffee, Tea, and Cocoa. Congrats snappy scrappy! Please contact me via my sidebar this week or I'll be chosing another winner. 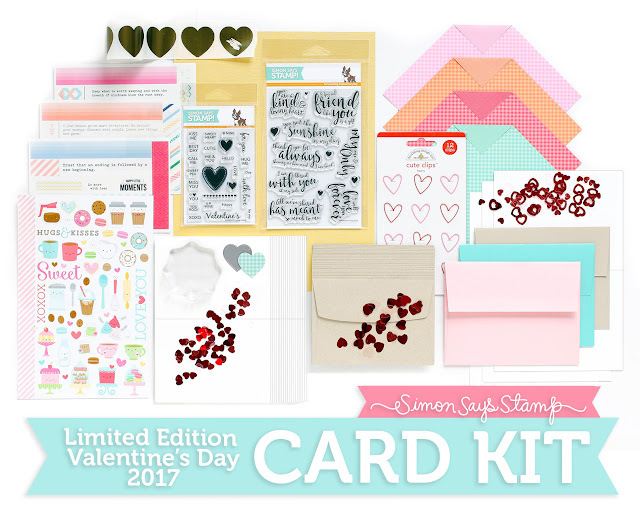 My Simon Says Stamp limited edition Card Kit: LOVE YOU FOREVER arrived a day or two ago and I've been busy whipping up some Valentine's Day cards for my twins to give to their Sunday School class. I think because we homeschool I always forget to do class Valentine's, lol. We *maybe* have given them out once before (and my youngest are 10 years old)! Oops. I guess this special kit was just what I needed to get them made this year! Although this kit has sold out, I thought I'd share my creations for those of you who managed to snag one. Also, many of the products found in this kit are available for individual purchase. Yay! I created 17 cards for classmates and teachers (the kit comes with enough card bases and envelopes for 20). 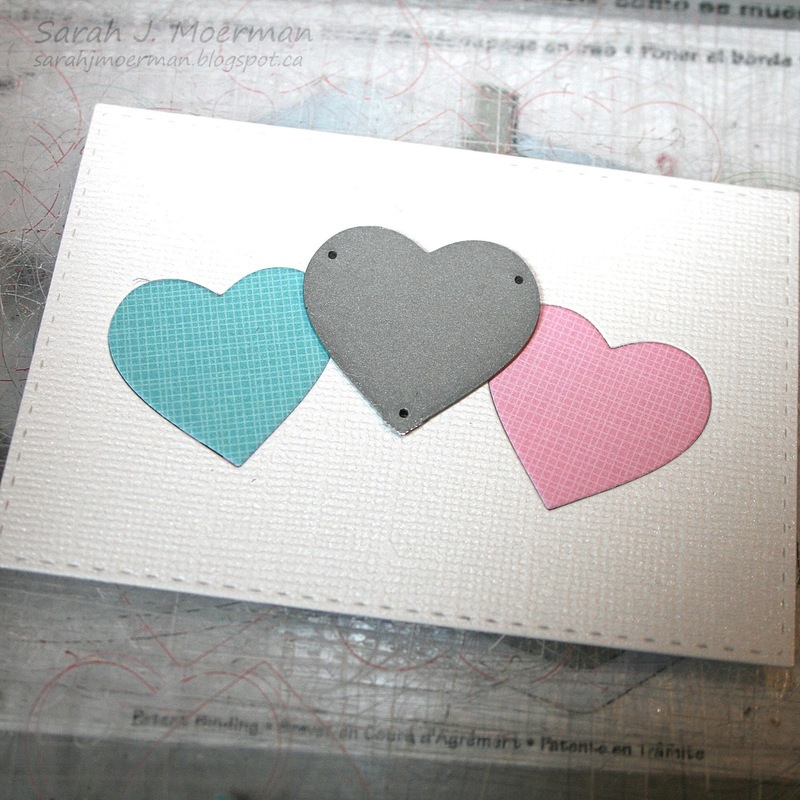 The only differences between the boys' and girls' cards are the colours of some the hearts and the greetings my kids wanted on them. The over all design is the same. I used a couple of different samples for my pictures (in case you wonder why the sentiments vary). First, I inked up the edges of the card fronts with Hero Arts Soft Pool Shadow Ink and a Mini Ink Blending Tool. I die cut Simon's Glimmery White Diamond Cardstock with one of their Stitched Rectangles Dies before die cutting the Heart Trio Die from the rectangles three times each. 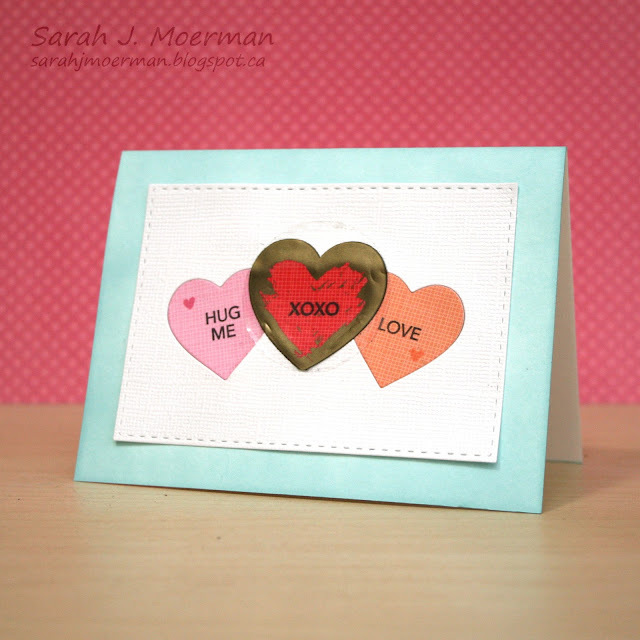 I inlaid the side hearts (which were cut from Doodlebug Gingham Linen Rainbow Petite Prints), put the heart die back into the center heart and ran it through my Big Shot again before adhering the hearts and rectangle on my card fronts. 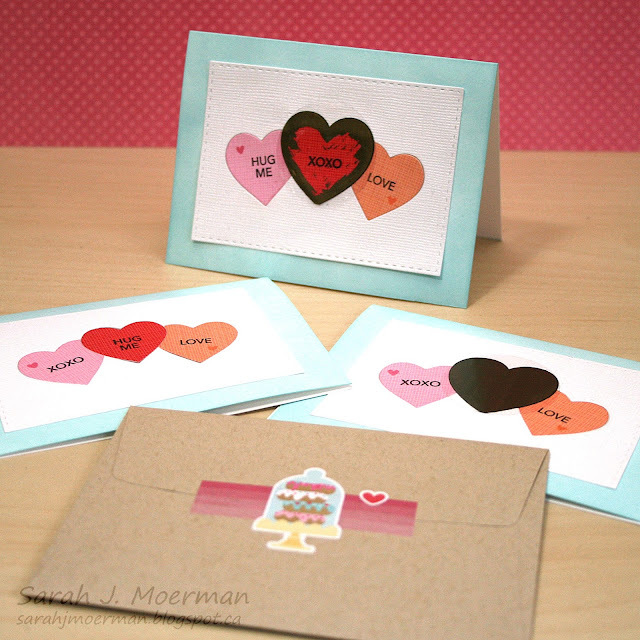 Next, I stamped the sentiments from Simon's Candy Hearts Stamps and the tiny hearts from their Loving Heart Stamps before adding the scratch off heart stickers to the center hearts. I think they'll have fun with these! 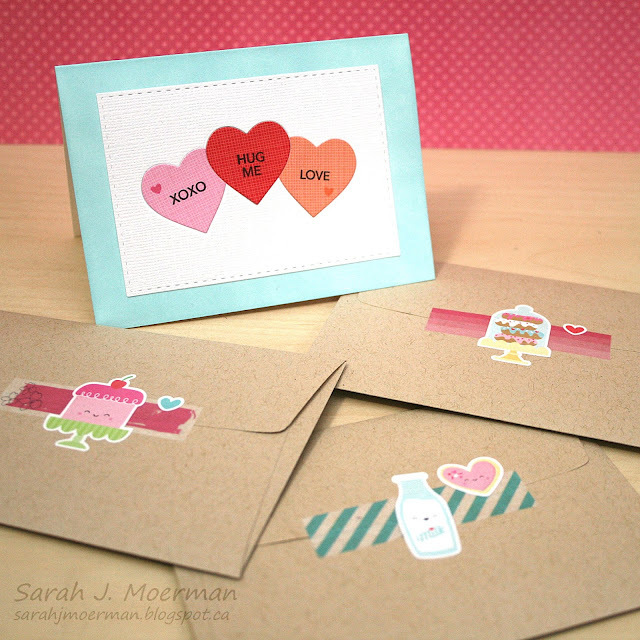 I also stamped sentiments and hearts from Simon's Loving Heart Stamps on the insides. All my twins needed to do was sign the cards. I also added a pinch of all three types of the Darice Red Hearts Confetti into each card for an extra little surprise. I decorated the backs of the sealed envelopes with some of the Pinkfresh Studio Felicity Washi Stickers and Doodlebug Cream and Sugar Mini Icons Sticker Sheets. 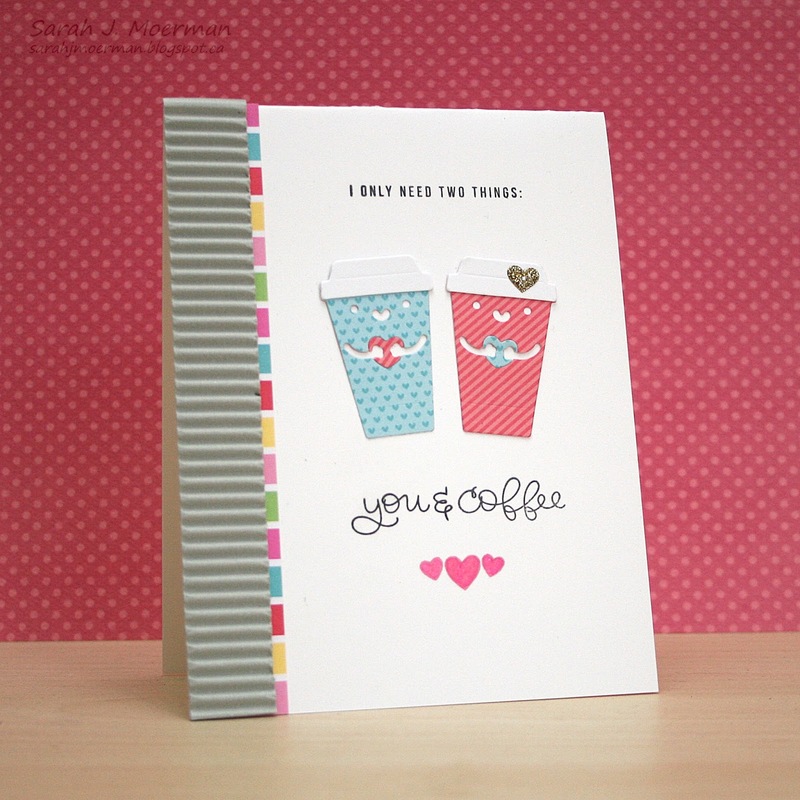 I'm popping by to share a final card featuring the Simon Says Stamp February 2017 Card Kit: Coffee, Tea, and Cocoa. Although the kit has sold out, individual components can still be purchased and I link to them at the end of this post. For this card I used Simon's Coffee Love Die with some of the Doodlebug Cream and Sugar 6x6 Papers to create my Mr. and Mrs. coffee cups. For the Mrs. 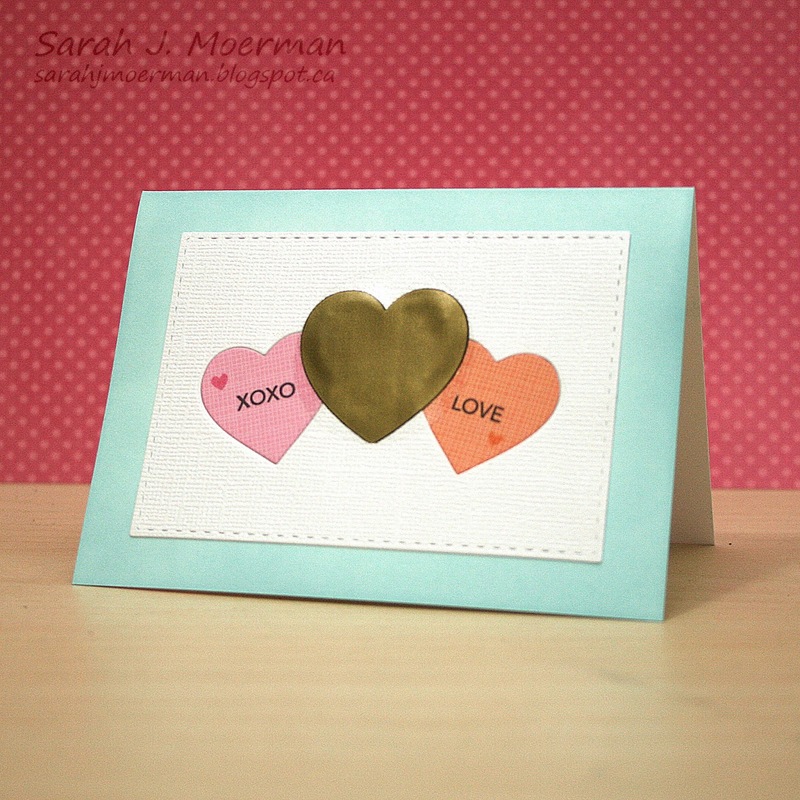 I added a glittery heart sticker from the Crate Paper Cute Girl Embellishments. 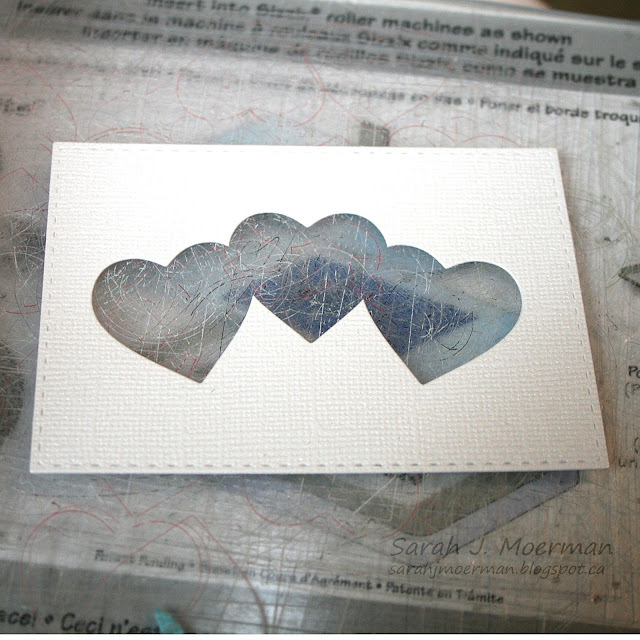 The sentiment is from Simon's Coffee and Tea Stamps. Finally, along the left edge I added some more Doodlebug Cream and Sugar 6x6 Paper as well as some of the grey corrugated paper. As I mentioned, the Simon Says Stamp February 2017 Card Kit has sold out. If you want to make sure not to miss out on future kits (and get them for just $24.95 + shipping per month) you can SUBSCRIBE HERE. 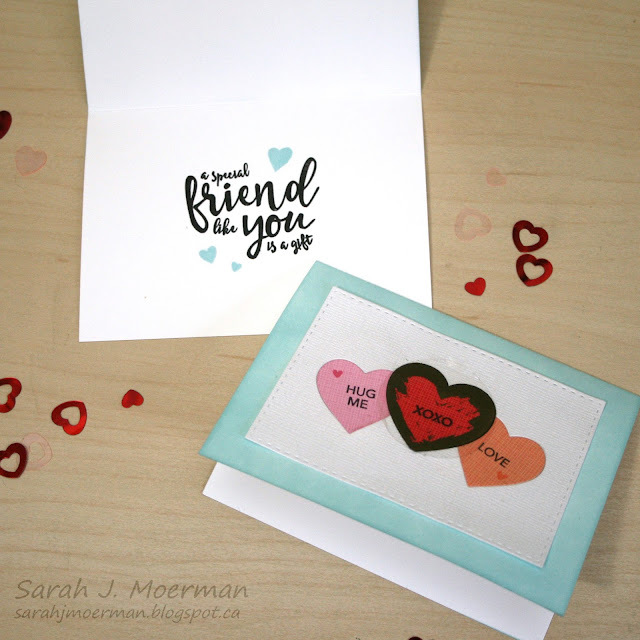 Heidi, owner of Simon Says Stamp, has given me an extra Simon Says Stamp February Card Kit to pass on to one of you! 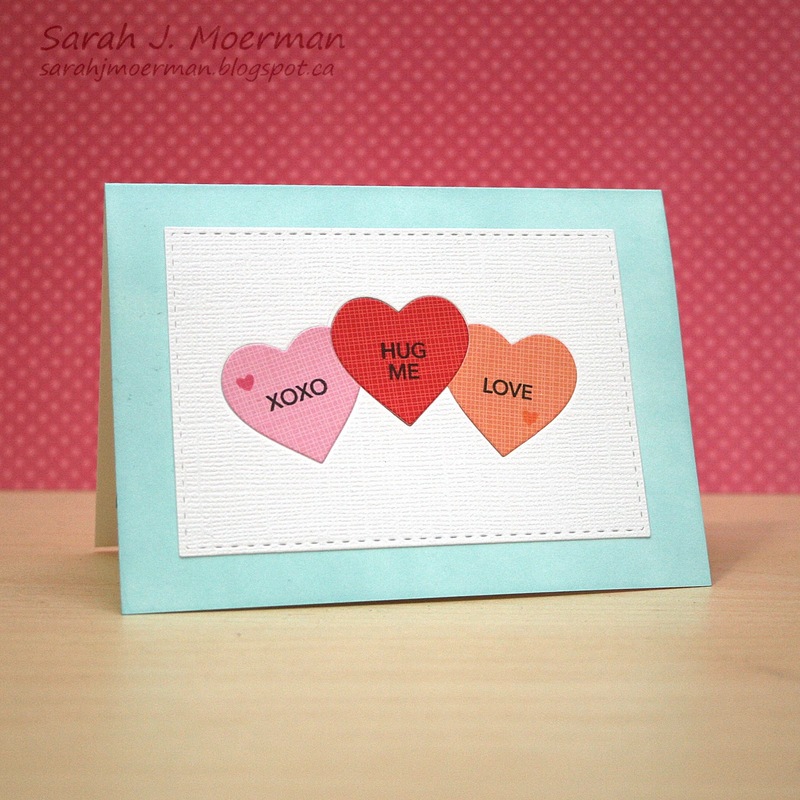 Just leave a comment on any or all of my February Card Kit posts and I'll announce a winner Monday, January 30th.